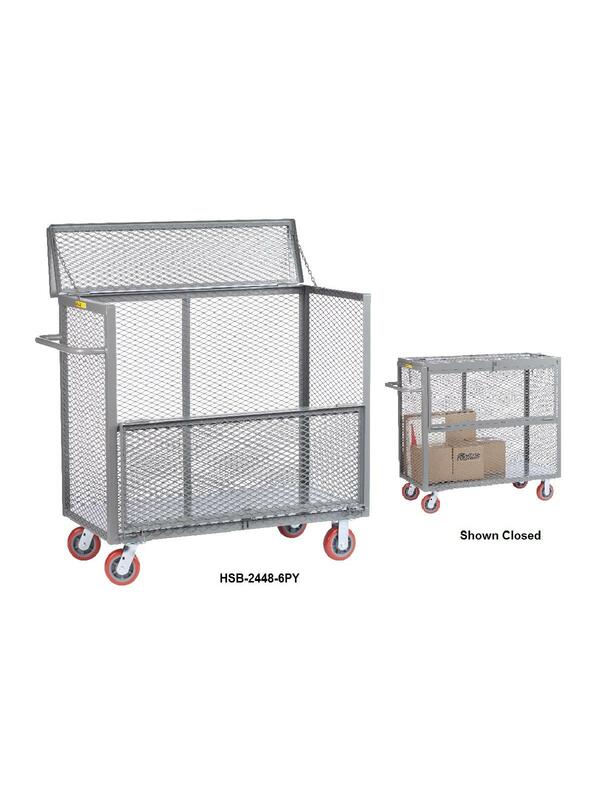 Expanded metal sides for good visibility and air flow. Solid steel bottom deck provides added durability. 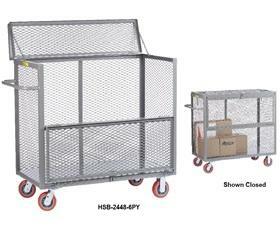 Side drop-gate with spring latches folds down allowing easier loading and unloading. Double hinged top cover features padlock hasp for secure storage. Overall height is 47”. 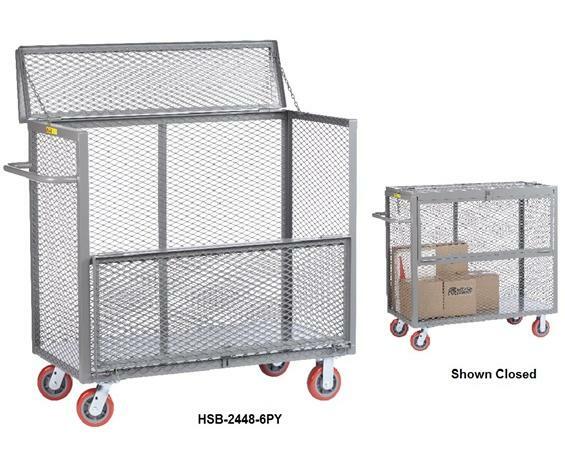 Rolls easily on 6 x 2” polyurethane casters, 2 swivel, 2 rigid. FOB Shipping Point. 60 x 30 x 36"60 30 36"